Kristján Kristjánsson (PhD, University of St. Andrews) is Deputy Director (Research) in the Jubilee Centre for Character and Values, University of Birmingham, and Professor of Character Education and Virtue Ethics. His interests lie in research on character and virtues at the intersection between moral philosophy, moral psychology and moral education. He has published six books on those issues, the latest one, on positive psychology’s virtue theory, was published by C.U.P. in 2013. In 2011 he was awarded the Ása Wright Award, the most prestigious award given annually to an Icelandic scholar. In addition to leading the flagship projects on gratitude and character education and overseeing all the research activities in the Centre, Kristján is working on two independent book projects, on Aristotelian Character Education and on Virtuous Emotions. 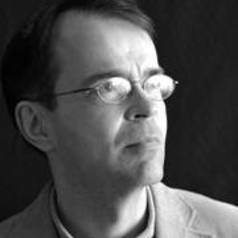 As a member of various international organisations and editorial boards, Kristján collaborates with colleagues in Asia, Europe and the U.S.A. on issues that relate to the cultivation of virtuous character.